Blowout Sale! 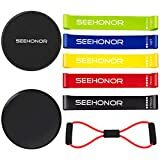 Up to 63% off on Strength Training Equipment at fittherapist.com. 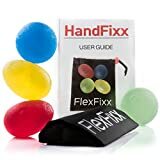 Top brands include Zdorovaya Nation, Stack 52, GBG Fitness, Elite Supplies, Kootek, Valeo, Lykoss, AO Store, Flex Fitness USA, PHY, SEEHONOR, Active Athletic Basics, INTENT SPORTS, MTSF, ELITE SPORTS ITEMS, FlexFixx, & Elite Sportz Equipment. Hurry! Limited time offers. Offers valid only while supplies last. 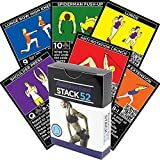 Stack 52 Resistance Band Exercise Cards. 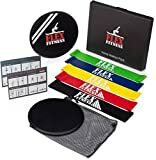 Exercise Band Workout Playing Card Game. Video Instructions Included. 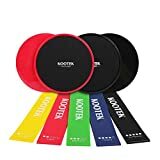 Home Fitness Training Program Elastic Rubber Tubes Stretch Band Sets. 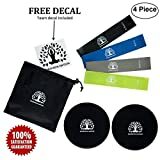 GBG Fitness Exercise Sliders. Double Sided, Use on Any Surface. Abdominal Exercise Equipment. Set of 2 Sliding Discs. 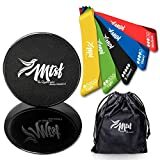 Lykoss 10-IN-ONE 2 Exercise Sliders + 5 Resistance Band Loops + Tangle Free Jump Rope | Gliding Fitness Discs For ANY Surface BONUS eBook System For Building Core Muscles And Dieting To Lose Fat! 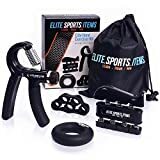 Bodyweight Fitness Resistance Trainer Kit with Pro Straps for Door, Pull up Bar or Anchor Point. Lean, Light, Extra Durable for Complete Body Workouts. E-Book "12 Week Program" "Patent Pending"